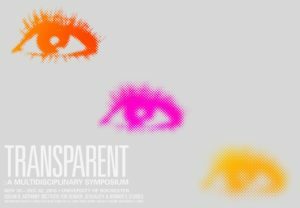 Dubbed by The New Yorker’s Emily Nussbaum a “stealth masterpiece,” Transparent (Amazon, 2014-2016) captures psychological, social, and historical dynamics of being transgender at precisely the moment that transgender individuals and stories have taken a central place in American mass culture. Simultaneously, Transparent presents the most substantively and recognizably Jewish family in the history of American television. Through flashbacks over the three seasons, the show offers intersecting genealogies of gender and Jewishness, from 1930s Berlin to midcentury American suburban acculturation to contemporary religious experimentation. This two-day multi-disciplinary symposium brings together scholars, writers, and critics to discuss all things Transparent and engage in dialogues at the nexus of Jewish Studies, Media Studies, Religious Studies and Sexuality & Gender Studies.